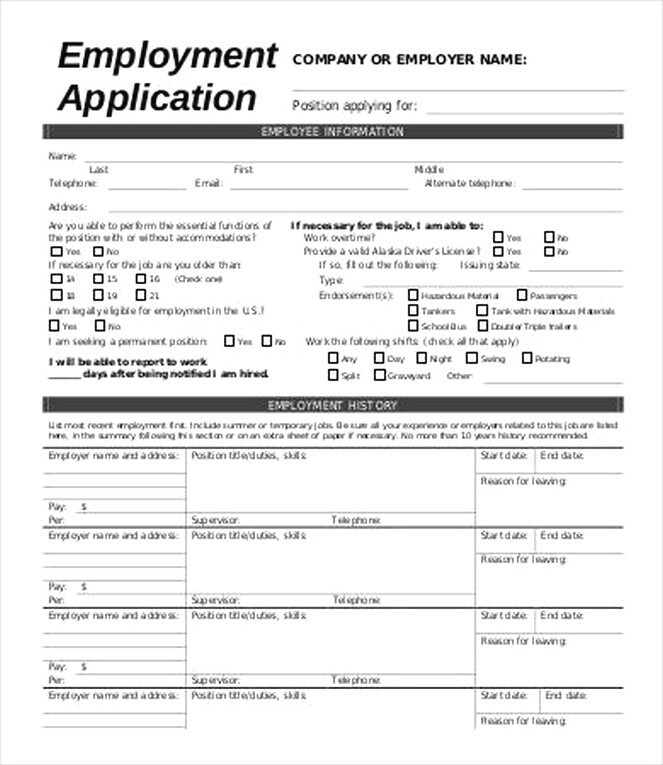 There are many important things to consider when creating an employment application form. It is not only about your personal information, but it also includes some job experiences or training experiences that can you offer to the company. Besides, in your employment application form, you may also add some questions that can prove the company that you are worth to hire. Here are the best 20 questions you may use some. The best 20 questions for an employment application form. You may include the position you want in a company. When there is a job vacancy, the company usually offers some positions that you may choose one of them based on your skill or interest. In your employment application form, you can include the reason why you want to work in the company. It is pretty important since it provides information to the company dealing with your motivation to work in the company. Make sure you also explain about your availability or your free hours in your employment form. Later, the company may know your available hours to work. Here, you may also explain your best accomplishments in the last job or the last role you were in. It also can support your skill or ability so that the company can be surer to give you the position they offer after reading your employment letter. This question is also mostly asked by the interviewer. Thus, you may simply include this in your employment application form. Explain it clearly and reasonably about your decision when you meet a kind of tough decision. A teamwork experience is also pretty important for you to write in your employment application from. The company needs to know your last experience and how you cope with your team before. Here, you can include your strengths in about three main points and then give a short and clear explanation for each. They don’t have to be job-related, but it covers the skill and the personality traits that the company wants to. Not only strengths, but you may also include your weaknesses. Make sure that you also explain the solutions that you use when you face your weaknesses in your employment application letter. Thus, you can give a good impression to the company to hire you as one of their employees. Based on your job experiences, you can explain to the company about the best job that you had ever done before. Tell them about some important points like the success of your past job, your position and the reasons why you like that job. There are certain reasons why you want to have a new job or move on from the previous one. To explain about this, you can write a brief explanation of your employment application and provide a short story about it. 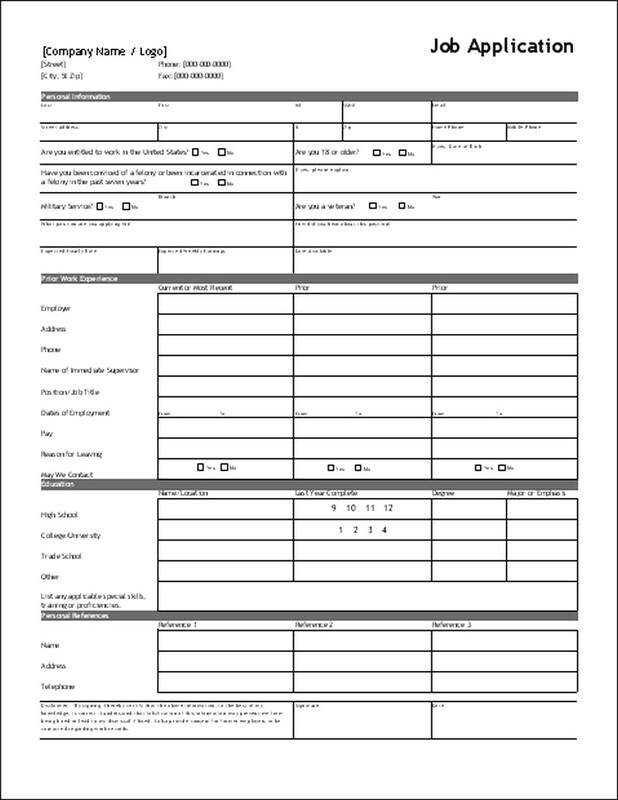 In writing an employment application form, the questions above can help you to get a better impression from the company. In your employment form, make sure you include at least five questions with your best answers. By reading the article above, you may choose the best five as your employment questions that relate to your skill and job experience. Now, write and arrange your employment form completely and good luck!